Whether you had diabetes before you got pregnant or developed diabetes during pregnancy, you need specialized care. The dedicated team of board-certified maternal-fetal medicine specialists at TLC Perinatal PA in Silver Spring, Germantown, and Hagerstown, Maryland, work with referring OB/GYNs to offer comprehensive diabetic counseling and management. When you become a patient of the practice, the doctors, nurses, and other medical professionals on the teamwork diligently to help you manage your diabetes to ensure both you and your baby are healthy. Ask your obstetrician for a referral and book your diabetic counseling appointment today, either online or over the phone. Why should I be concerned about diabetes during pregnancy? Diabetes is a concern for all men, women, and children because the continuous surges in your blood sugar can damage vital organs, minimize blood flow, and inhibit nerve functions. But diabetes during pregnancy is especially concerning because now both you and your unborn child are at serious risk of complications. Because diabetes is known for increasing your risk of so many issues, it’s important to get started with diabetic counseling early on. When do I need to see a diabetic counselor? If you have Type 1 or Type 2 diabetes and plan to become pregnant, it’s important to schedule a diabetic counseling session at TLC Perinatal PA before you conceive. Or if you’re already pregnant and have diabetes, schedule an exam right away. 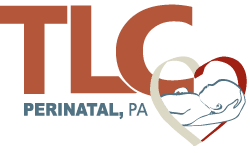 The diabetic counseling team at TLC Perinatal PA help you learn to manage your diabetes and check in with you and your referring obstetrician regularly to ensure your treatment is effective. What happens during a diabetic counseling appointment? Your diabetic counseling appointment at TLC Perinatal PA begins with sitting down with your practitioner and discussing your family and personal health history. Depending on your health and how long it’s been since you last had lab work done, your practitioner might draw blood or collect a urine sample during your visit. If you’re insulin-dependant or require diabetes medications, your dedicated doctor at TLC Perinatal PA also counsels you on how and when to take your prescribed dosage. Ask your obstetrician for a referral and schedule your diabetic counseling visit with TLC Perinatal PA by clicking on the online scheduler, or by calling your nearest office directly.